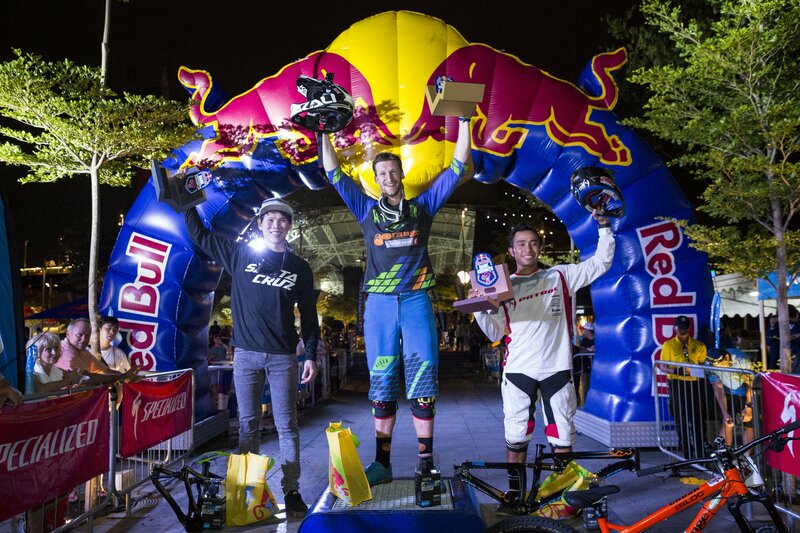 Two weeks after receiving an invitation to race at the Red Bull Dark Knights, I confirmed with sponsors and fans that we would be going for the worlds only night time urban downhill race…. Falmouth is about as far as you can go south before hitting the sea! Its a lovely seaside town with a great atmosphere…….. 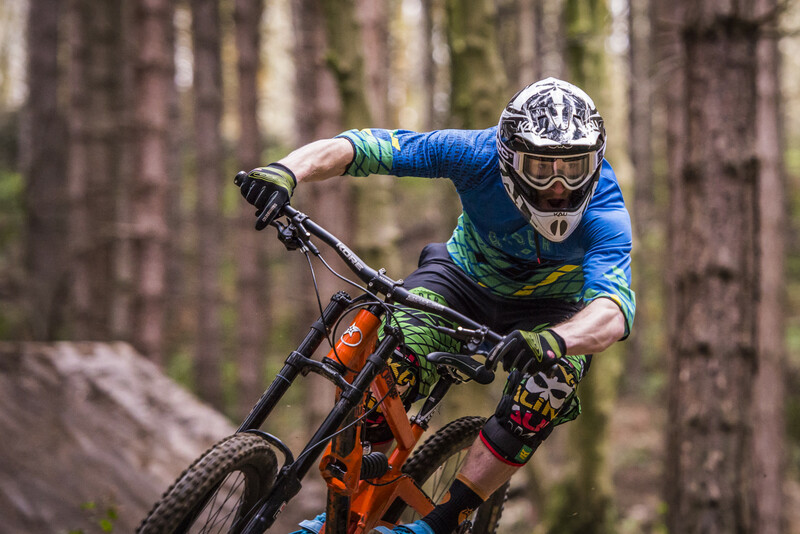 Check out the video shot in Sheffield with Darren Ellis and Flare Clothing! 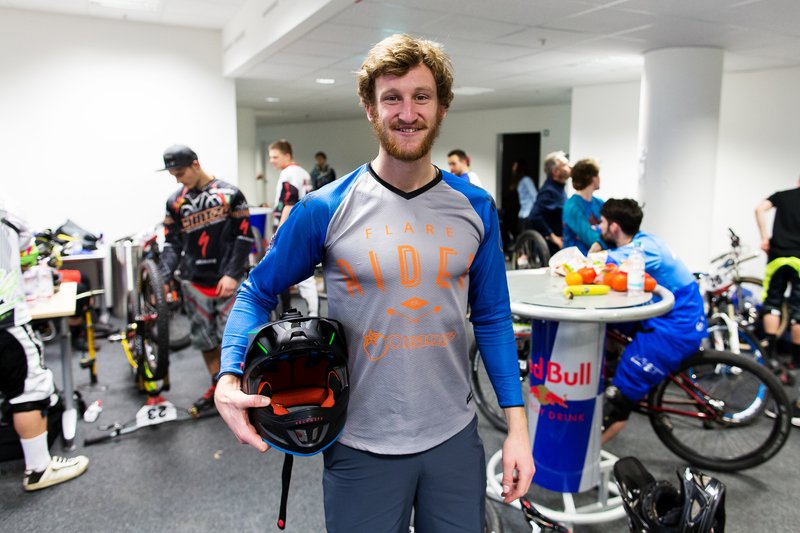 After missing round 4 in Budapest due to illness I was all fired up for the 5th round of this exciting tour. 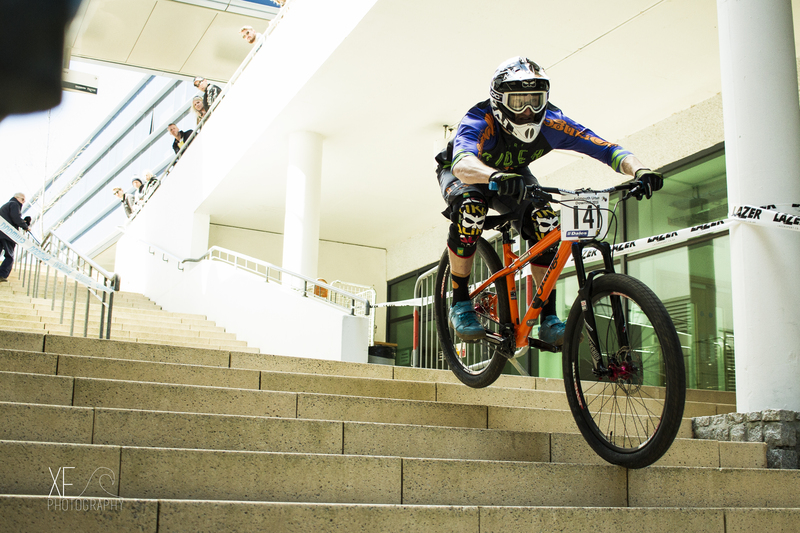 Bratislava is also hosting the City Downhill this season so expectations in the area were set pretty high for me! 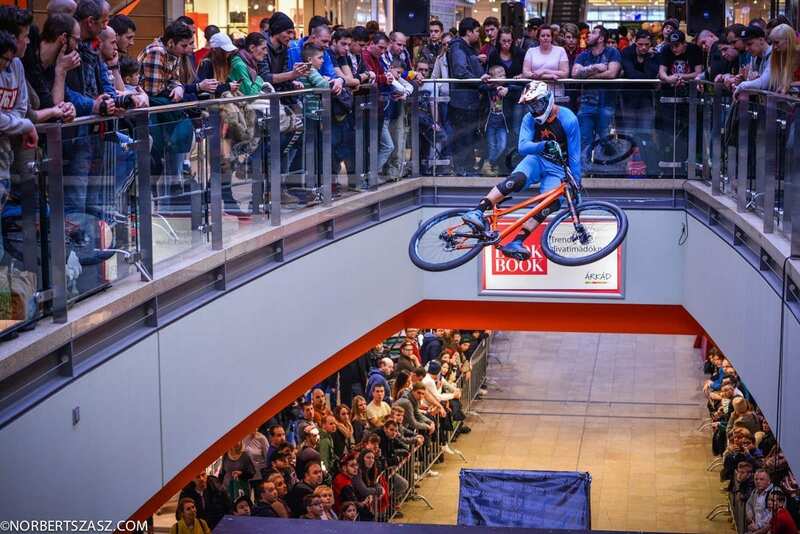 Downmall series. Round 3, Frankfurt. 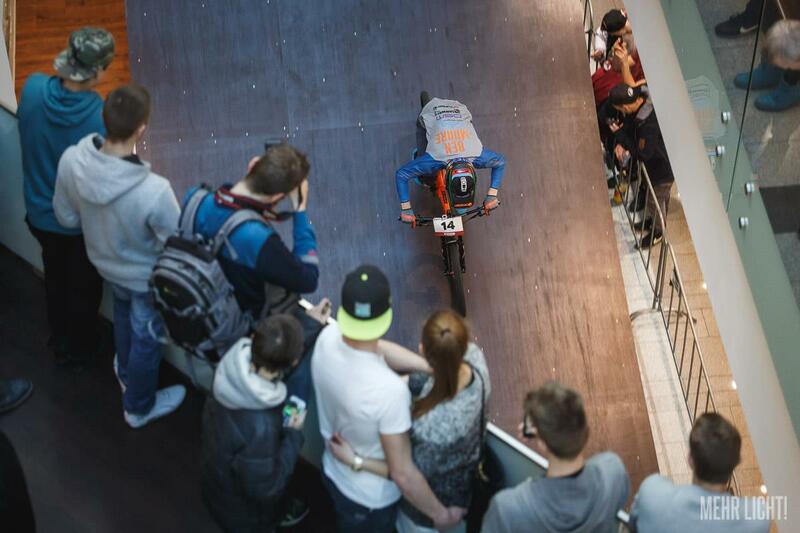 Round 3 of this spectacular race series was held in the monstrous shopping centre ‘My Zeil’ in Frankfurt. 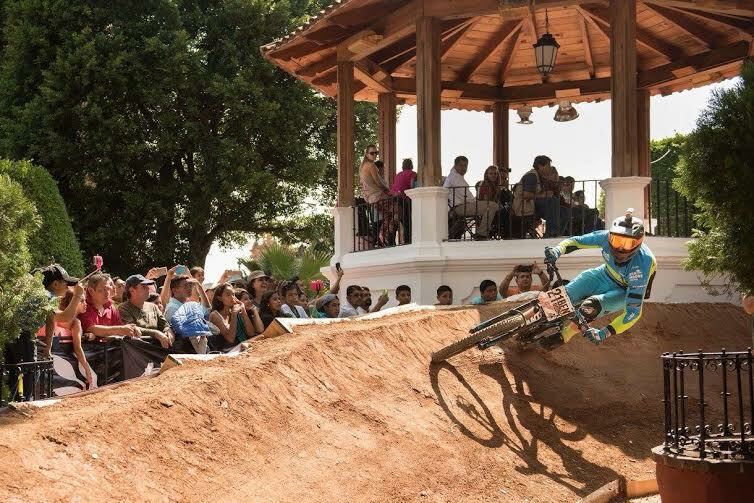 Downmall series. Round 2, Berlin. 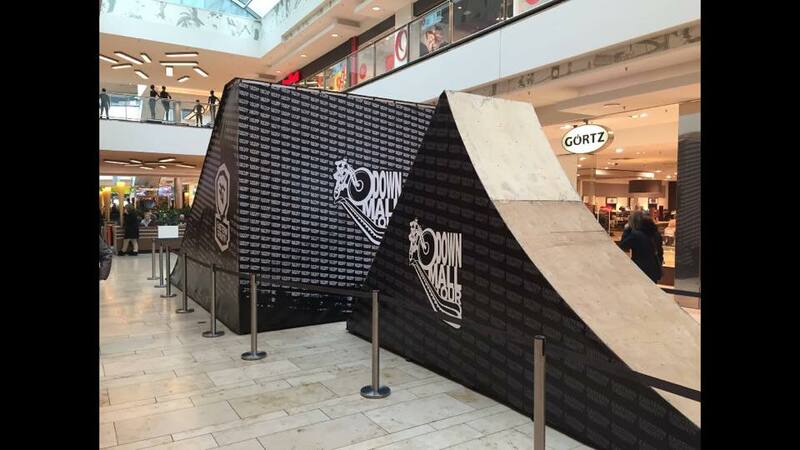 The second round of the Downmall series was held in the -7 degree area of Germany, Berlin! The snow was falling heavily outside but luckily these races are all inside the lovely warm shopping centres! Downmall series. Round 1, Hannover. 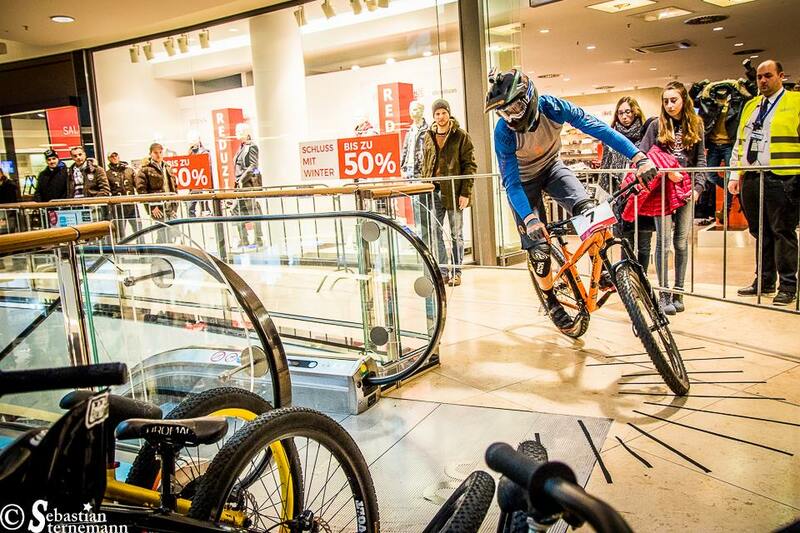 A Hannover shopping mall was the setting for my first race with Orange Mountain Bikes. I took the Crush and tried my hand at Shopping centre DH racing. 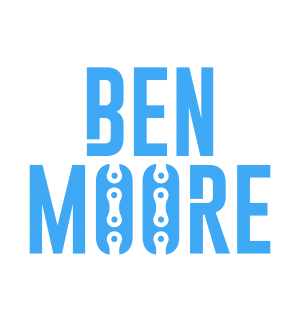 Saturday 16th January will be my first race of the year and also the first round of the awesome shopping centre races in Europe. These events have only been around for a few years and I’m over the moon to have been invited to the first one of 2016.